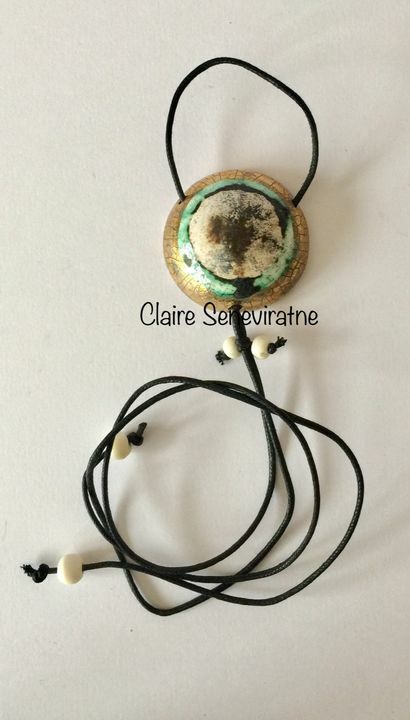 Claire Seneviratne - Ceramic Artist: Gold smoke fired pendant. Gold smoke fired pendant.This pendant is made from porcelain and has been fired with glaze in my kiln. It is attached to an adjustable cotton cord. The cord runs through the pendant. It can be adjusted by sliding the beads at the bottom of the pendant. Diameter of the pendant is 4cm.